Pre-order Papalee’s debut album SOULvival! 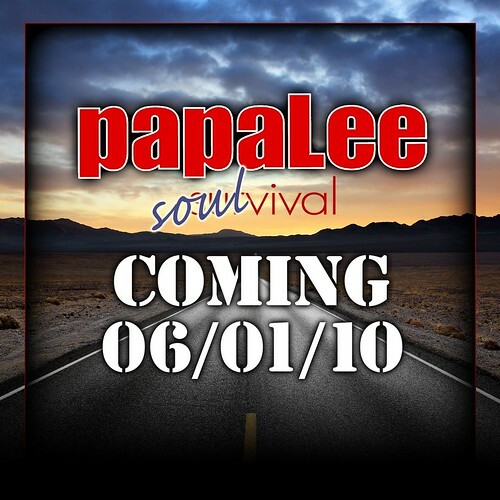 Check out some of the snippets from Papalee’s debut album SOULvival! The release date is June 1st, but you can PRE-ORDER IT NOW! Make sure you’re on the mailing list, and LEAVE COMMENTS if you like what you hear. If you are having trouble with the player, you can CLICK HERE. My debut album SOULvival is in the final stages of production. All of the songs are written – and several guest vocalists and musicians will be filing into the funklab and other studios all around the world to bless the project. The demos have been described as “funky as hell” and “hot”, and I LOVE every song. Each song is a reflection of my truest emotions and life experience. At this point SOULvival is truly one of my proudest accomplishments in life. I will be posting a music player with some of the demos VERY soon, and the album will be available for pre-order in the next few weeks. I am also beginning to look for investors and distributors, so contact me if you know someone or if you are interested. Enjoy the video and DO something kind for someone else today!